42-year-old Adam Breeden has been the brains behind popular venues like All Star Lanes, Bounce, and Flight Club. 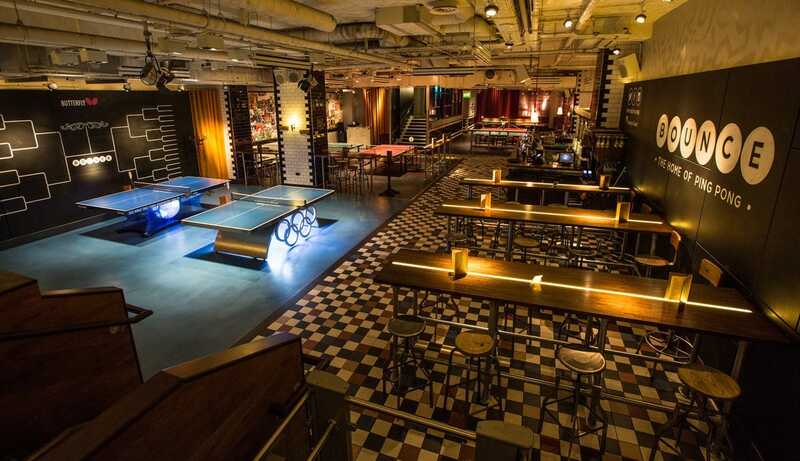 The ‘social entertainment’ venues have changed going out culture in London and across the UK – and they’re making their way to the US. 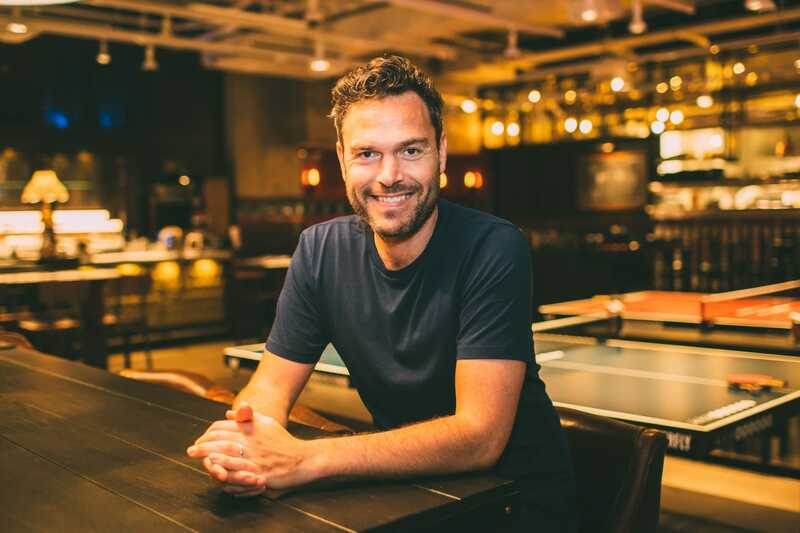 Under the umbrella of his company Social Entertainment Ventures, Breeden’s next launch will be a £6 million digital mini golf venue created alongside the co-founders of Topgolf, and he also plans to launch a bingo venue. He told Business Insider how he went from a dishwasher to the founder of some of nightlife’s most innovative concepts. Adam Breeden’s first job in the hospitality world involved cleaning dirty plates at a restaurant – and he loved it so much it inspired the rest of his career. Along with his love of meditation, it was his ability to embrace the restaurant industry’s crazy, ever changing culture that has led to his current success. 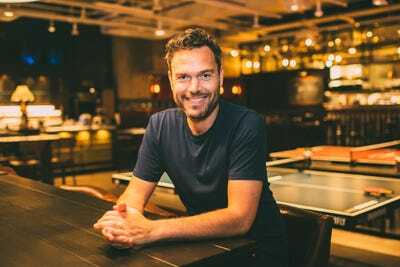 Now the 42-year-old cofounder of holding company Social Entertainment Ventures, Breeden has been the brains behind some of London’s most popular going-out spots, such as the bowling venue All Star Lanes, Bounce ping pong, and the Flight Club darts bar – and he’s not stopping there. In school, he said he excelled at “anything creative” – and he knew he wanted to open a restaurant. As part of his International Business degree, he spent a year studying in Paris. He also worked at Publicis on their “largest account” and was offered a job at the end of it – but turned it down. Instead, in 2002, and Breeden and his brother Charles launched The Lonsdale cocktail bar in Notting Hill. All Star Lanes opened in London’s Holborn in 2006, boasting bowling lanes, a cocktail bar, and a restaurant. Luckily, customers loved the idea – and Breeden said they also got a lot of corporate interest. “Within the first three to four months of trading we almost broke the operation, it was so busy,” he said. Breeden is no longer involved in the business, but says it’s still “going from strength to strength.” It now has four London locations, as well as one in Manchester. 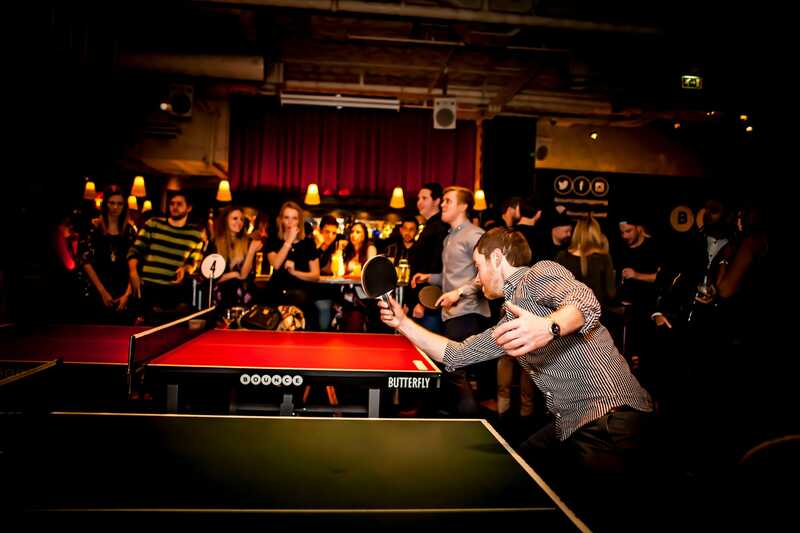 “I stepped down when I had more inspiration to do other things,” he said – the first of which was Bounce, a ping pong venue. Breeden’s co-founder Dov Penzik, an entrepreneur and previous table tennis player, came to him with the idea, which seemed a bit crazy to Breeden at first. However, he said the pair developed the concept to ensure it would be a “fantastic venue” even without the tennis tables. “The business was really centering in on that question you have as a group – you want to do something, you don’t want to hire a private dining room, you want people to have some fun and do something interesting,” he said. 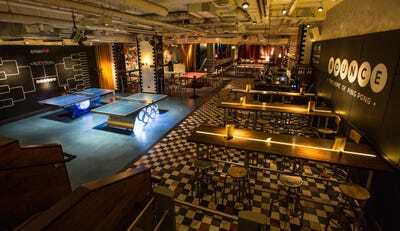 They opened Bounce in 2012 in Farringdon – on the site where ping pong was founded by John Jacques III in 1901 – and were quickly surprised by how much people love ping pong. 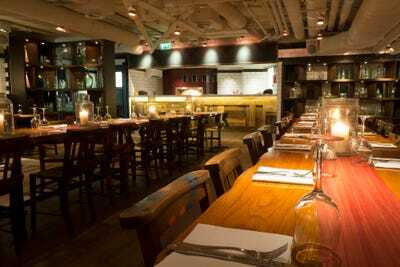 They opened a second venue in Old Street in 2015, which became profitable in its first month. 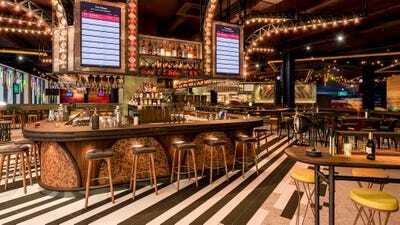 “We went straight to the US and opened in Chicago under the brand AceBounce two years ago,” Breedem said, adding that the venue is performing “absolutely fantastically” with plans to roll out across the US. But Breeden didn’t stop there. 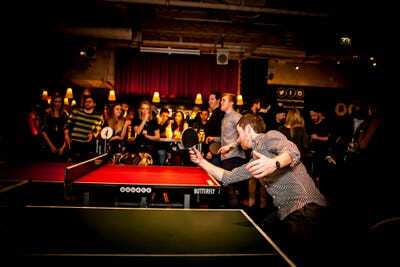 “I thought, if you can do it with ping pong, you can do it with other sport,” he said. He began talking to Steve Moore and Paul Barhan about building a social entertainment venue revolving around darts. “We needed something else to make it a fun and easy group experience, so the guys went off and nailed what is now trademarked as social darts,” he said. Flight Club opened in 2015 in Shoreditch, with a second location in Bloomsbury in 2017. 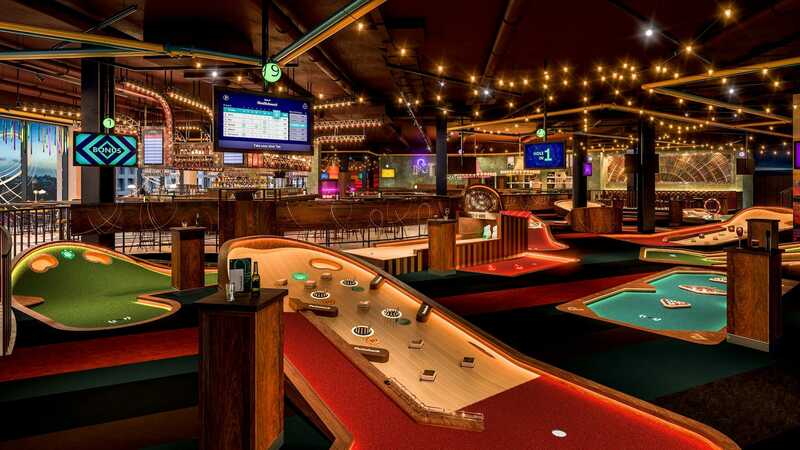 It offers darts “ochres” or areas with boards that use digital scoring and non-traditional gaming options – as well as instant video replay. Flight Club is not only rolling out across the UK – where it operates as a separate business to the other brands under the Social Entertainment Ventures holding company umbrella – but also across the US, again starting with Chicago. While Breeden still sits on the board, his focus is on the concepts that lie under the Social Entertainment Ventures umbrella – Bounce, Flight Club USA, and his two latest ventures, Puttshack and Hijingo. Puttshack, a £6 million investment which opens in London’s Westfield Shepherd’s Bush shopping centre in June, was inspired the technology created by co-founders Steve and Dave Jolliffe of Topgolf, which, with more than 40 sites, is a US phenomenon according to Breeden. The Jolliffe brothers have helped Puttshack bring that same technology to mini golf. Breeden says you’ll walk through the door, be greeted by screens where you’ll punch yourself in and select a tee-time and restaurant booking, be allocated a course, and receive your ball from a dispenser. The experience will involve animation reflective the game play and score, sound effects, and cameras around the course which will film you and send you video of your best shots. “I believe it to be the world’s finest mini golf experience,” he said, adding that the company plans to launch a second venue in the No 1 Poultry Building, another as part of the extension of the intu Lakeside shopping centre in Essex, and four more across the UK a year later. While details are minimal, his next venture will take on bingo, infusing “technology and traditional number play to unlock a ground-breaking twist on bingo like never before,” according to the company. Breeden has partnered with Rebel Bingo creator James Gordon to launch Hijingo in the UK, with plans to launch three venues within its first 12 months in major UK cities, including London. He believes the same applies to the restaurant scene in general. “I honestly think London trumps New York now in terms of the restaurant scene,” he said. With so many concepts in his past, present, and future, Breeden certainly knows he has to keep the momentum going to be successful – but he also knows how important it is to take the time to slow down. He also recently brought a CEO on board to run Social Entertainment Ventures so he can keep that creativity going. He added that his role has been a lucky one in many ways, and emerging younger generations have made it a “fascinating time” to be in the business. “In the past, when you were young, you drank in order to make friends and meet a love interest,” he said. “Now, we have the internet for that.